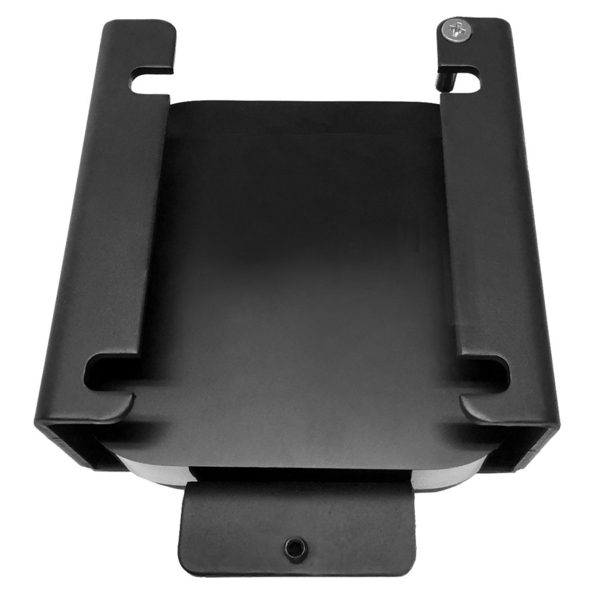 This NewStar Apple TV mount, model NS-ATV100, allows you to mount and secure your Apple TV. It's ventilated design protects your Apple TV against overheat and loss of signals. Model NS-ATV100 fits Apple TV model 2, 3, 4 and 5. The NewStar Apple TV Security bracket is simple and easy to install! The design allows you to secure the Apple TV to any flat surface using the bracket's standard 75 mm (VESA mount pattern) mounting holes. Slide the Apple TV into the bracket, secure the Apple TV and install the cables. This mount allows installation to any flat surface and can also be mounted on NewStar flat screen mounts. Ideal to combine a flat screen and Apple TV.